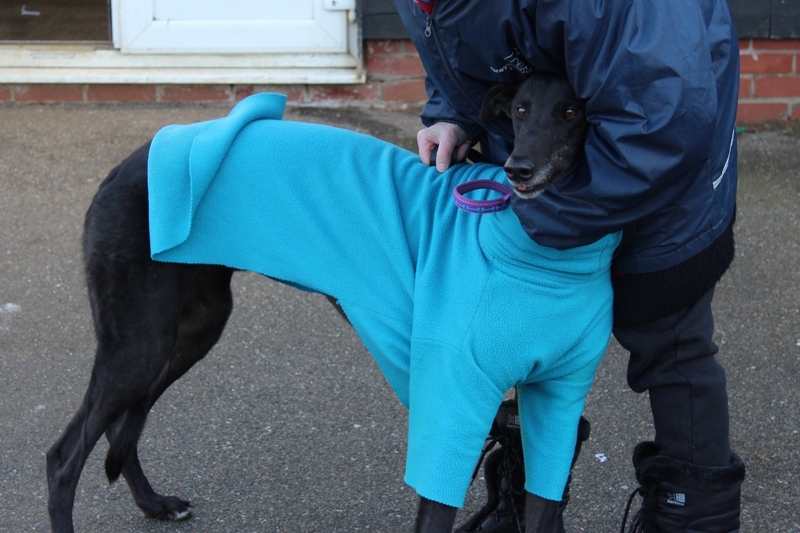 This an a ppeal to find a loving and understanding home for our special boy Tony. 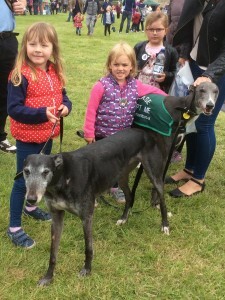 Tony (racing name Whatugonnado) was raised at Dillymore from a tiny puppy along with his sisters Bo (already in a home) and Meadow who is still racing. He has spent all of his life there and after a successful racing career he has retired. He was born in July 2014 and is the most affectionate and adorable boy you could wish to meet. He loves nothing more than a fuss and a cuddle and can often be found beside his trainer just watching him work in his office. Whilst waiting for his forever home Tony had what appeared to be a little fit and was taken to the vet who diagnosed mild epilepsy. Whilst waiting for his medication to take effect he had another minor fit but has not had anymore since and the vet is pleased with his current condition. The vet has indicated that Tony will need medication for the foreseeable future. If you work from home or are home for most of the day and are looking for a loyal and affectionate friend please consider this lovely lad. Woody who was born in May 2013 and who went home in January of this year has unfortunately and through absolutely no fault of his own has had to be returned. In fact he has come back to us with a glowing reference from his family. They say he is clean in the house, affectionate, fine with other dogs, ok with children, fine to be left for a reasonable amount of time and he walks nicely on his lead. Having had a taste of home life we would very much like to find him another home as soon as we can. 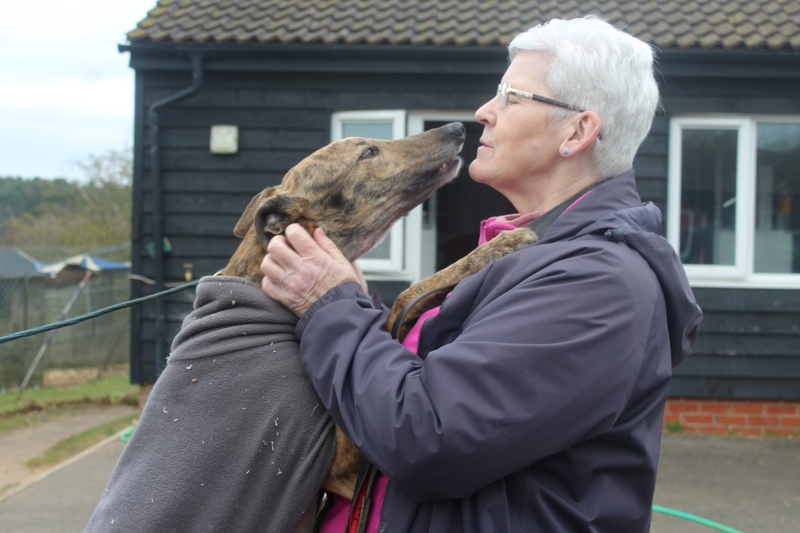 He is such an affectionate lad who leans right into you for a cuddle, if you stepped back he would fall over. If you could give Woody a home please get in touch. Thanks. 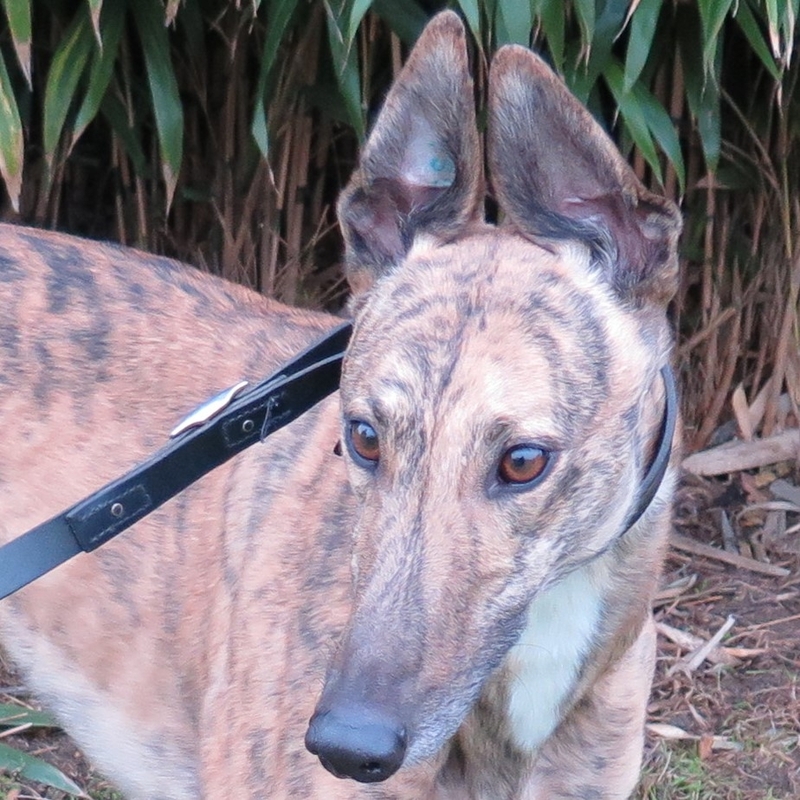 We are looking for a very special home for Messi, he has just been returned to kennels for the second time. Full details are on his page here. Alfie has been happily homed as a direct result of our wonderful supporters sharing his story. We are asking for your help again – this time for Ruby and Blue. 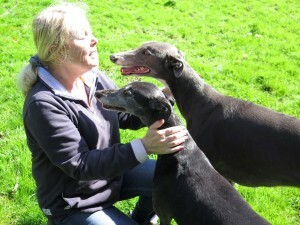 bonded as a pair, and after so much sadness in their lives we would love to find a home for them together. They were traumatised when they arrived at Dillymore but they helped each other through the darkest of times and settled into kennel life. They are coping with their change of circumstances but after so long in a loving home we want so much more for them. “Blue is very laid back, nothing seems to bother him. He is quite bold and inquisitive when out on walks, loves the garden and is always interested in whatever is happening – he particularly enjoys watching through the window. 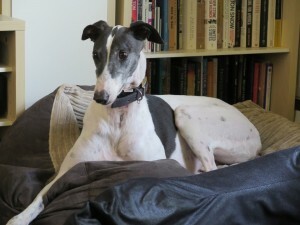 He is happy playing with other greyhounds but not really interested in other breeds of dog. 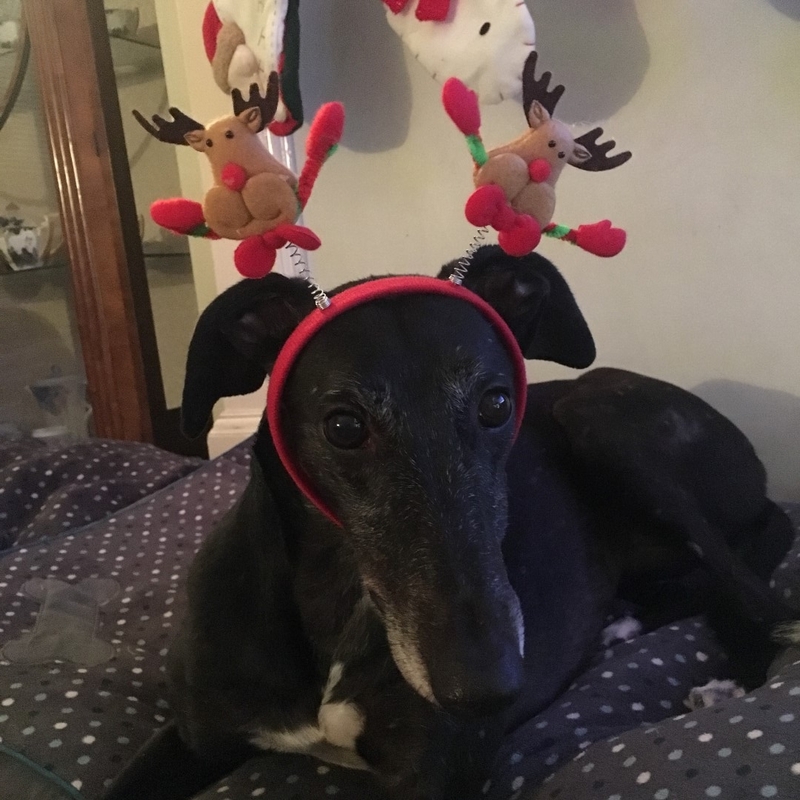 He gets on very well with Ruby, they will lie on the same bed together, share their toys, and even share food, so do need to be re-homed together. 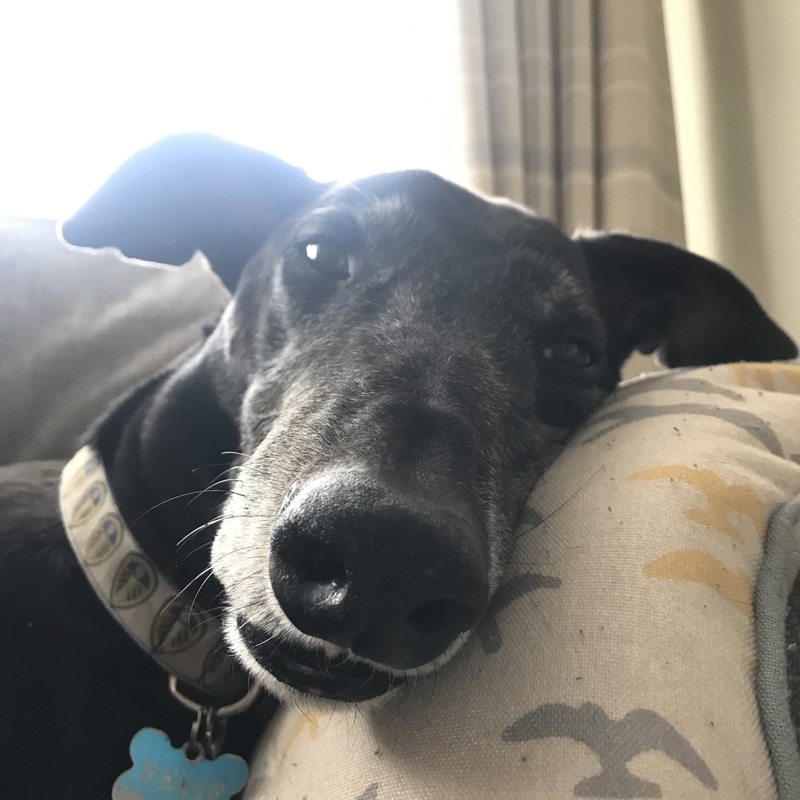 “Ruby is a very well behaved and gentle dog, walks well on the lead and likes her sofa and a bit of fuss, but is not demanding and is a marvellous pet. She has recovered well from having twelve teeth removed and is enjoying her food. She has a zest for life and is enjoying longer walks again. Despite her white muzzle she is quite lively, albeit in small bursts. They both are very good in the car”. 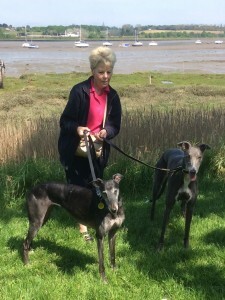 “We loved being in the foster home as we had lots of walks in the park to see the squirrels and we often went down to the beach. We don’t really like the waves very much, but it’s lovely walking on the sand. We were very well behaved in the foster home and since we are fully house trained the only mess we made were biscuit crumbs. Now we are back in the kennels and looking for a home together. We promise that we wouldn’t be ‘double trouble’ and if you asked our foster parents I am sure they would agree”. We really do need to home this lovable pair together so please, please share their story for us. Thank you.